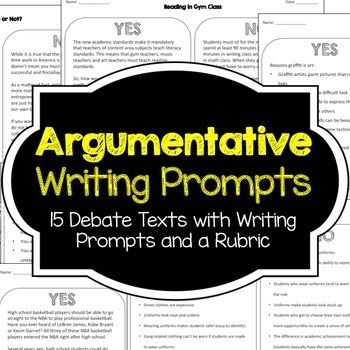 Each Argumentative Writing Prompt has two debating texts (Yes/NO) and a writing prompt. 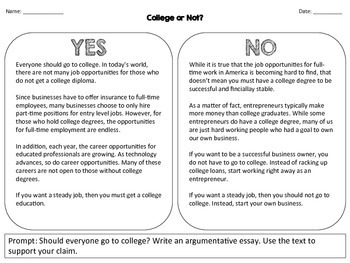 Students are asked to write an argumentative essay and must use evidence to support their claim. 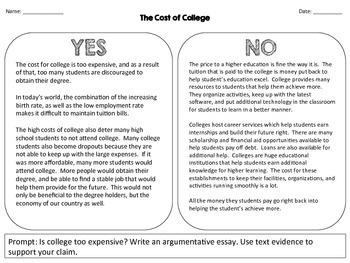 An Argumentative Essay Rubric is included! 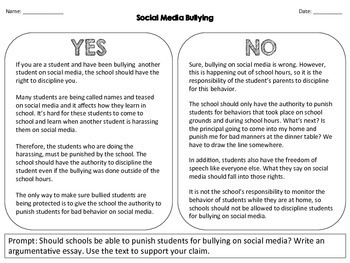 This resource is part of the Writing Prompt Bundle at a 20% discount with my Writing in Response to Reading Prompts and my Finish the Story Writing Prompts . That’s 60 prompts total!